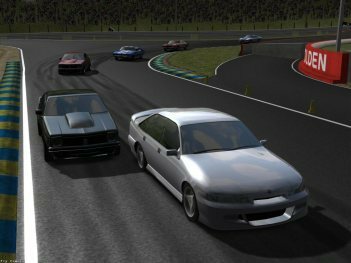 Driving Speed 2 is a free high quality racing game simulation for your PC. Choose from four high powered V8 muscle cars and race against up to 11 computer controlled opponents on two touring car circuits. This game has photo-realistic graphics, realistic car physics and performance, high quality sound, and AI. Play against your friends over a LAN or Internet with 8 player multiplayer. Send your fastest lap records to the online world rankings where you can see your times against players from all around the world. Driving Speed 2 also includes an optional Crawler search engine toolbar enhancement for your Internet Explorer and Firefox browser. New version includes enhanced graphics engine and improved support for Xbox 360 controllers. This game has photo-realistic graphics, realistic car physics and performance, high quality sound, and AI. Play against your friends over a LAN or Internet with 8 player multiplayer. Driving Speed 2 also includes an optional Crawler search engine toolbar enhancement for your Internet Explorer and Firefox browser.